Leszek Kanczugowski and Tang Haywen in Poland (1990). I met T’ang Haywen for the first time in 1988 at an art fair organised by a mutual friend and, from this first contact, an exceptional relationship was born, just as exceptional as this great artist. A luminous figure, as was his painting, he had an astonishing vision of the world, combining vast knowledge with profound simplicity, as well as a Chinese soul with a rich Western culture. His painting is like a wind blowing between these two civilizations. For him, as for me, this exchange has proved to be very rich. 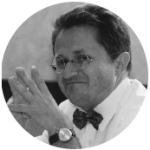 Leszek Kanczugowski is an art historian, curator and entertainer for the French and Polish artistic and cultural life. T’ang showed us his curious fascination with the world and with those people for whom culture, and especially art – in all its forms – are bridges and become the messengers that allow communication between souls. 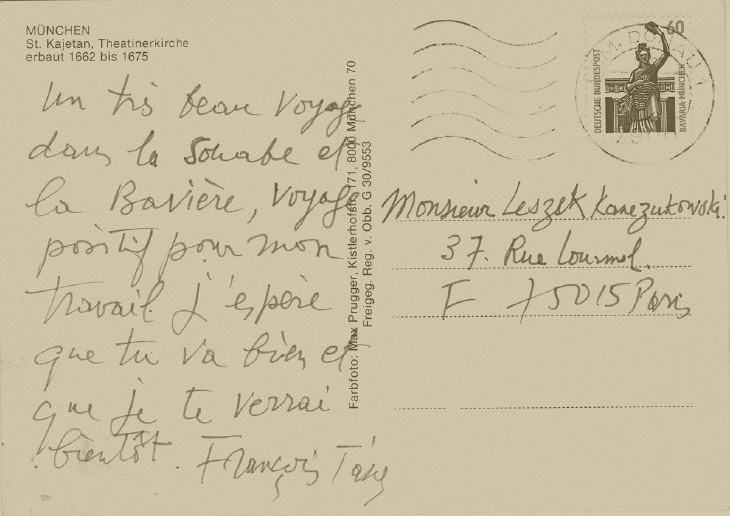 In 1988, I introduced him to the Polish poet Cyprian Norwid, which gave T’ang a strong desire for a trip to Poland. 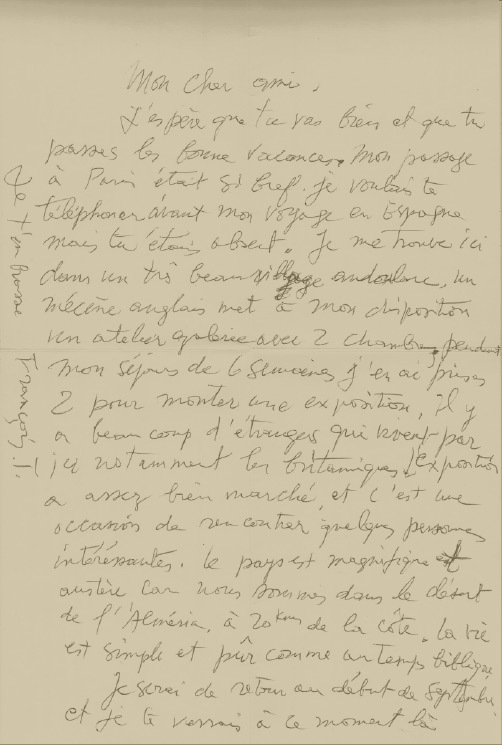 “Norwid, admired by Henri Bergson, Andre Gide, Joseph Brodsky and Jean Paul II. His influence was decisive for the development of Polish culture in the first half of the X / Xth century in the field of poetry, theatre, visual arts. Norwid is distinguished by the universalism of his thought which, according to his favourite principle of the harmony of opposites, draws both on the spirituality of the West and that of the Orient, especially of ancient China, as Confucianism and Taoism. At a time when these two parts of the world come together and collaborate, the importance of Norwid’s thought is capital and can serve as a bridge between these two civilizations as is already the case of the music of his friend, Frédéric Chopin. In China,There still exists today an order Which knows the virtue of respecting the written rags of paper And picks them up in dust or the wind chases them, So that the letter does not spoil in this world in vain. More than one thought among the Slavs in an immature act van Ie, would be a book-wall in Beijing! Personalized greeting card by artist (5×10 cm). 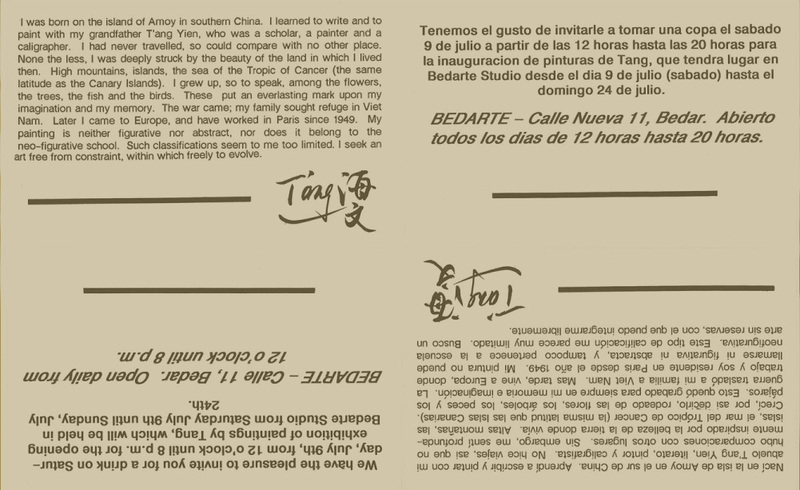 The invitation to the exhibition at Bedar (Spain) with the autobiography of T’ang Haywen. 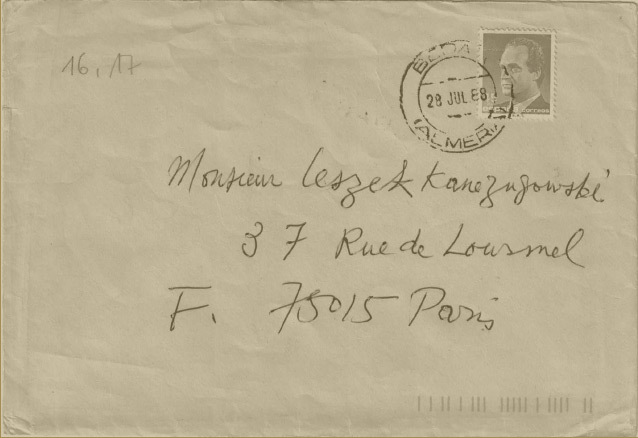 A correspondence from T’ang Haywen to Leszek Kanczugowski.